Emerging from a musical family of professional singers, including her father who is one of the most known platinum artists in Greece, Yianna Terzi is certainly “the one” to put under our radar. Relocating from Greece to the U.S. nine years ago, and working her way into the studio with Grammy awarded and nominated notables, Yianna stirred up the vision to take her musical talent in a place where she knew she could be free and express herself musically in her own way. Yianna wanted this transition to break the restrictions she felt with the logistics of Greek music as a whole. She released her first official English single titled “Love Is Your Name” which hit iTunes and started bubbling in the underground clubs of NYC. This prompted Yianna to begin performing in the Big Apple to create her foundation in the US. Yianna is no newbie to being a star. She performed in front of thousands in Greece. At a young age, Yianna was inspired by ground breaking artists such as Whitney Houston, Mariah Carey, Celine Dion and Michael Jackson. With attaining a degree in Theory of Music, she pursued her dream of becoming a professional singer and was quickly signed to Universal Music. Audiences connected with Yianna instantly and caught hold to her unique tone. She has received nominations for the “Best New Artist” at the “Cyprus Music Awards” as well as the prestigious “Arion Awards”. Her debut album “Gyrna to kleidi” (“Turn the key”) placed her in the eyes of radio with the single “Pou kai pou” (“Every now and then”) which dominated the charts for months. Right after that, Yianna’s sophomore album was released with EMI from which two singles and videos were released. This year she is representing Greece in the 63rd Eurovision Song Contest in Lisbon, where she will be performing the song “Oniro Mou” (My dream), which she cosigned with Aris Kalimeris, Dimitris Stamatiou and Michalis Papathanasiou. The song was released under her new record label, Panik Records. Aris Kalimeris was born and raised in Kozani. He is a Law graduate and has more than 10 years of experience in the national and international music industry under his belt. Apart from working as a musician, he’s also working as a producer and lyricist with great success. Aris is not a newbie in the Eurovision Song Contest as he’s worked with the Moldavian delegation in 2009 as a lyricist. He’s worked with many great names of the music industry such as Sakis Rouvas, Nikos Gkanos, Vegas, Goin’ Through, Vanessa Adamopoulou, Christina Salti, Inna, Morandi, Mattyas, Ela Rose, Snoop Dogg, Natalia Barbu and many more. One of his greatest hits is “Secret Love”, released in 2010, which managed to enter the charts in more than 30 countries. The song was first released in Greece by Christina Salti. 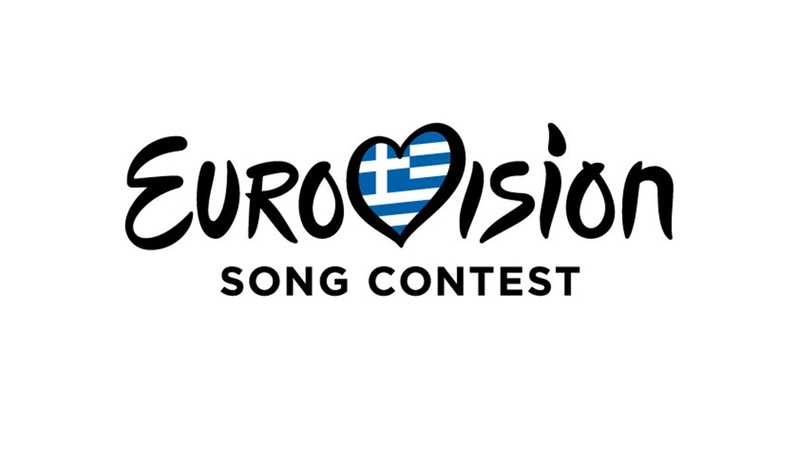 This year he is co-signing the song “Oniro Mou”, which will be representing Greece in Lisbon with Yianna Terzi. Michalis Papathanasiou is a finance graduate, music producer, composer and arranger. He’s worked with some of the most important Greek artists, such as Alkistis Protopsalti, Haris Alexiou, Giorgos Mazonakis, Helena Paparizou, Michalis Hatzigiannis and more, as well as working as a remixer for Stevie Wonder and Snoop Dogg. He has composed and arranges many Greek soundtracks. He is a co-founder, member and producer of Goin’ Through, the most known hip-hop band in Greece as well as being a co-founder and producer of Hip Hop/R’n’B “Family the label”. He has acted as an A&R and in house producer for Universal Music Greece. He is the co-owner of the internationally known recording studio “Black Rock Studio” in Santorini as well as Prism Studios, one of the most known recording studios in Athens. Finally he is the Greek Representative of New York Mastering Studios. Dimitris Stamatiou is a composer and producer who has worked with the greatest names in the national and international music industry. He has collaborated with artists such as Snoop Dog, Lexz Pryde, Helena Paparizou, Anna Vissi, ONE, Peggy Zina, Apostolia Zoi, K.Christoforou, Vanessa Adamopoulou, Goin’ Through, BO, Midenistis and many more as well as achieving Platinum and Golden sales with Goin’ Through, Ilias Vrettos, Antique and more. He’s worked for 7 years as a producer alongside Giorgos Theofanous and has collaborated with the production of the Greek X-Factor.